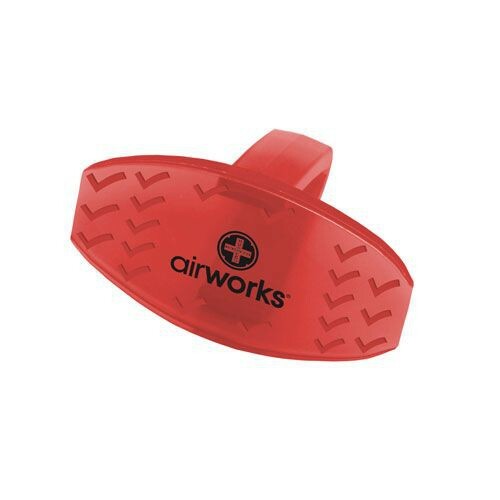 AirWorks Bowl Clip Air Freshener features continuous odor control up to 30 days. It is VOC compliant and fits the average toilet bowl. It easily clips on the outside of the toilet bowl and contains enzymes that eliminate odors at the source. It helps neutralize tough odors within the bathroom and keeps the air fresh and clean. It comes in 8 scents: mango, fruit basket, orchard spice, citrus grove, fresh garden, sunburst, vineyard, and midnight sky. Refills are available to purchase through our site at the price listed on the page.